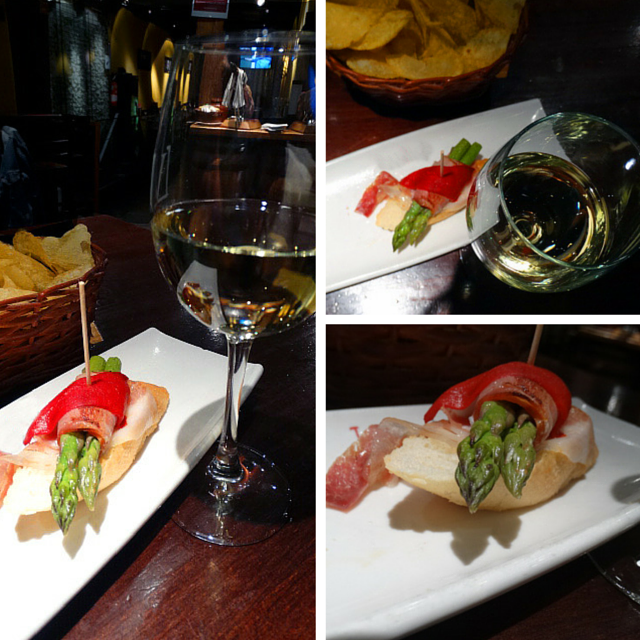 Enjoying a light appetizer with a glass of wine is a Spanish habit, a small bit that has become international. With very few ingredients, this is the recipe to make a tasty, easy and quick tapa, ideal with a glass of white wine made of verdejo grapes from Rueda region. Cook the asparagus in a span with a drop of olive oil and salt. In the same pan, remove the asparagus and put iberico ham for some seconds and toast the bread. To prepare the tapa roll the ham around the asparagus and place on the bread. Put the slice of red pepper on the roll and fix it with a stick. Enjoy the tapa with white wine made of verdejo from Rueda.